Show the young lady in your life just how important she is by inviting her to a special evening at the Farmington Civic Center. The early evening will be full of dancing, refreshments, complimentary photos, and something special for the ladies. 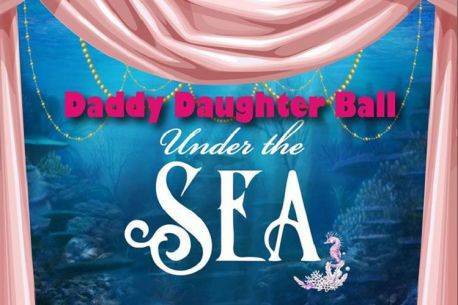 So put on your dancing shoes, let your little girl get all dressed up, and take her on a Daddy Daughter date to remember! The theme this year is Under the Sea. Tickets go on sale January 1, 2019 and must be purchased in advance at www.fmtn.org/WebTrac under “Sycamore Park Tickets."